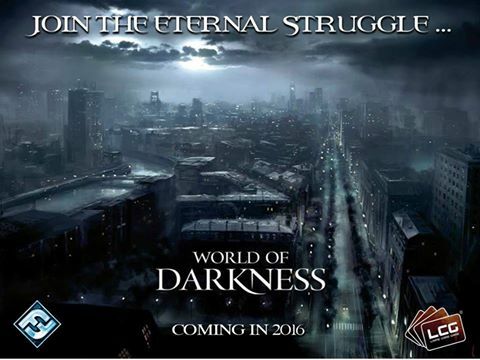 I thought I would revive a bit the Belgian forum by referring to a rumor from vekn.net : Fantasy Flight Games may be playtesting right now a Living Card Game based on the World of Darkness, with many elements from V:TES. Last edit: 6 years 1 month ago by emime. Replied by D- on topic Dangerous waters... VTES as a Living Card Game? There has been no news about this in the NC-forum. The link on 4chan was the first source of information for me too (it was then referred to on bgg, and later on vekn.net). Replied by squirrel on topic Dangerous waters... VTES as a Living Card Game? Seems like it's really happening now! Replied by Raziehl on topic Dangerous waters... VTES as a Living Card Game?